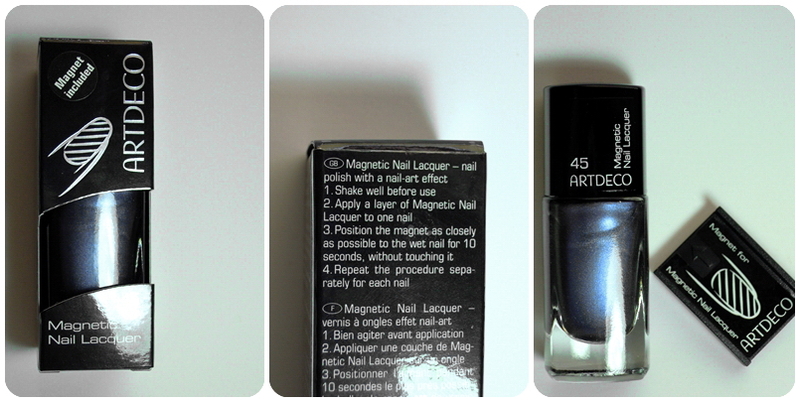 Today I got to test Artdeco's Magnetic Nail Lacquer in 45 magnetic night sky. The set costs 9.95€ and already contains a magnet so you can get started right away. There's 8 colors so far and they're all pretty metallic hues. The color I used is a lovely dark metallic blue with silver particles. When you use the magnet the blue and silver pigments separate. This is my result on the very first try, not too bad, right? In the photos the polish looks a little lighter, like when you hold in into the light, in reality it's a bit darker, like in the bottle. 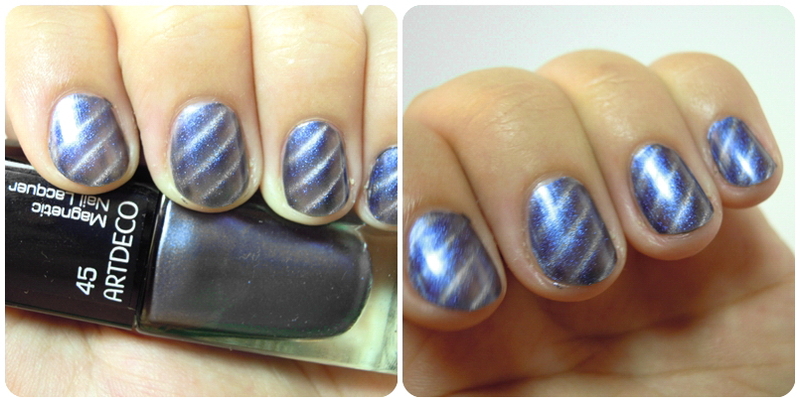 The separation of the stripes works really well and the polish itself is nice too, smooth application etc. The only negative thing is, that it's not completely opaque, as you can see. You wouldn't really notice that normally but if you're bothered by that sort of thing you could easily just apply a normal nailpolish underneath. 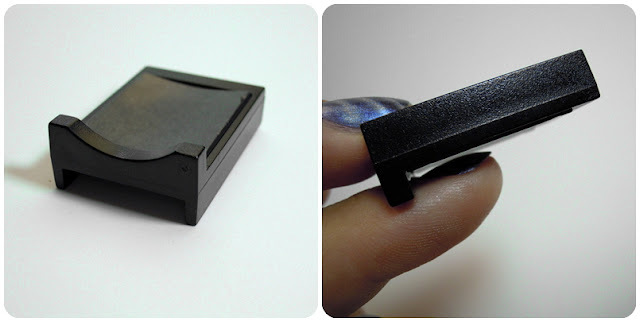 Have you tried magnetic nailpolishes before? A big thank you to Artdeco for providing me with this product for free so I could review it for you!